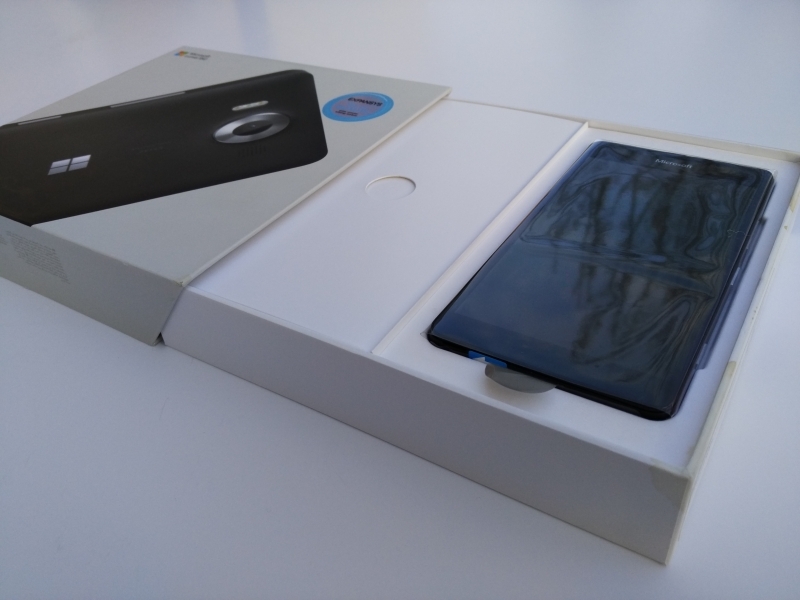 Google doesn't ship a lot of Nexus phones compared to Samsung and Apple, but it's important for Google to have their own phone to show others what the ideal Android phone can do. 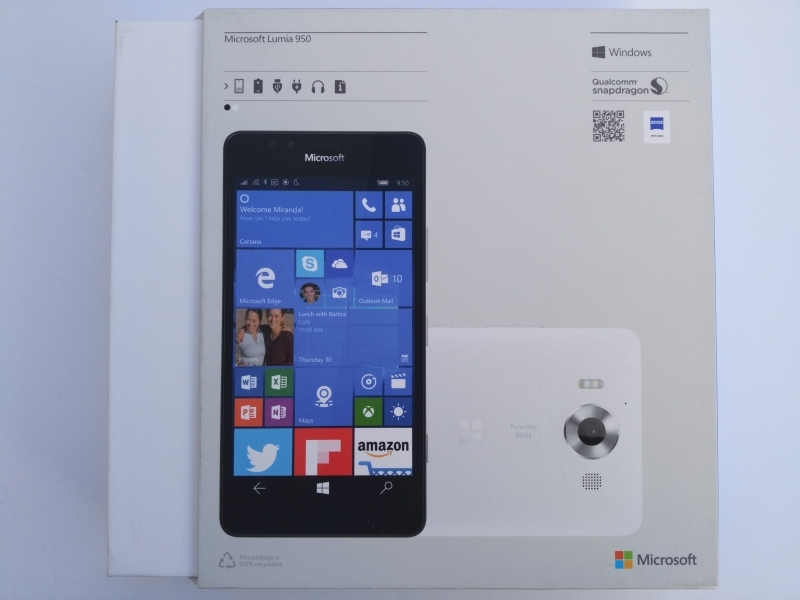 Similarly Microsoft has their flagship Lumia models to show phone companies what can be done with Windows and to encourage more developers to create Apps for Windows phones. 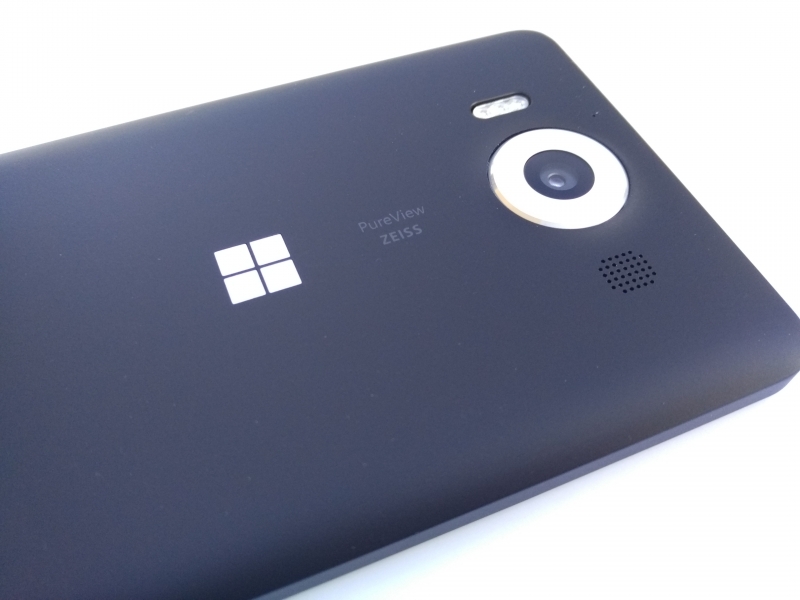 Given how dominant Android is in the smartphone space, it's not surprising that Microsoft had to do something special with the Lumia 950 not found on Android or Apple phones. 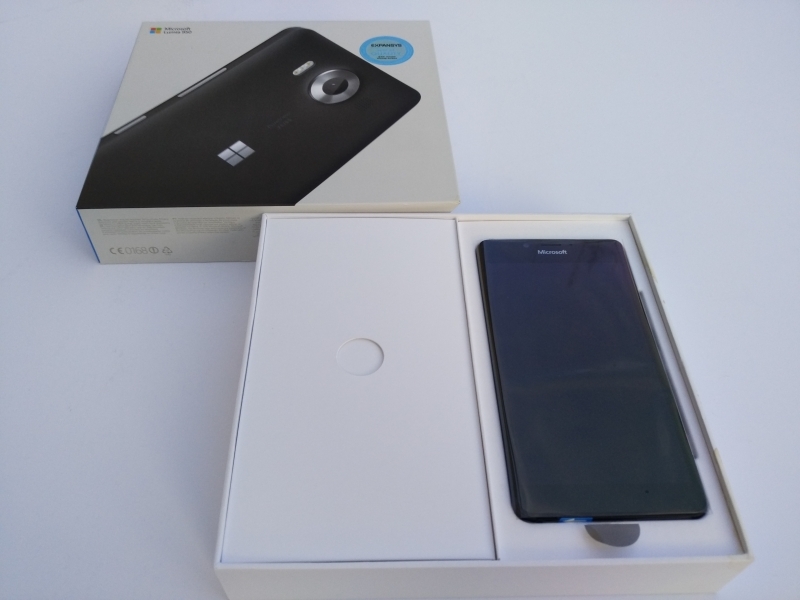 Most of the Lumia 950's key features are around extending your Windows PC experience into a mobile setting and seamless integration with a Windows 10 PC. 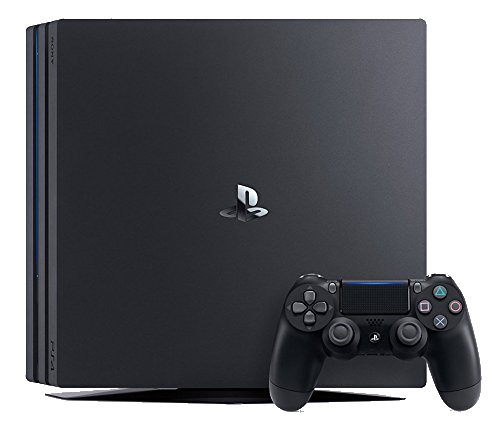 The new USB Type-C connector technology is a key part of this strategy. When I wanted to purchase the Luma 950 when first released, it was only available in Asia so I purchased it online in Hong Kong from Expansys. 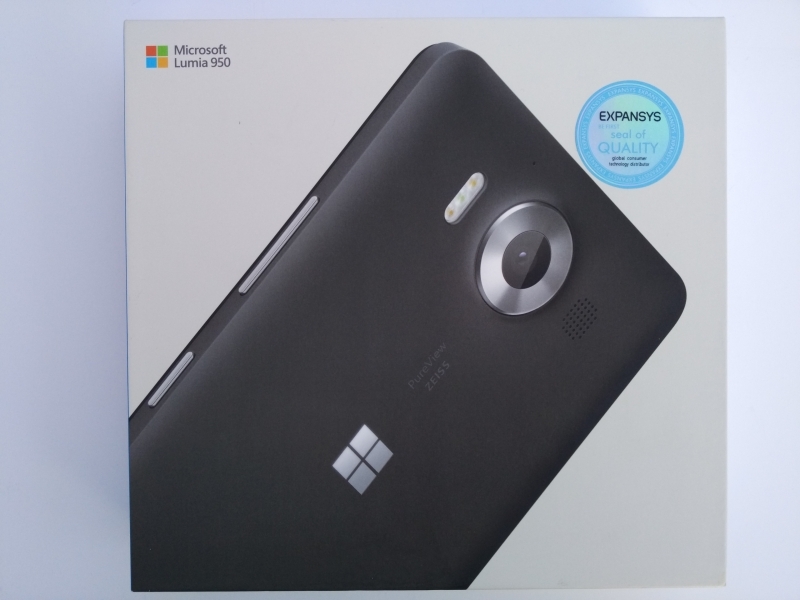 The Lumia box itself is sturdy and unlike many other smartphone boxes comes in a larger flat shape. 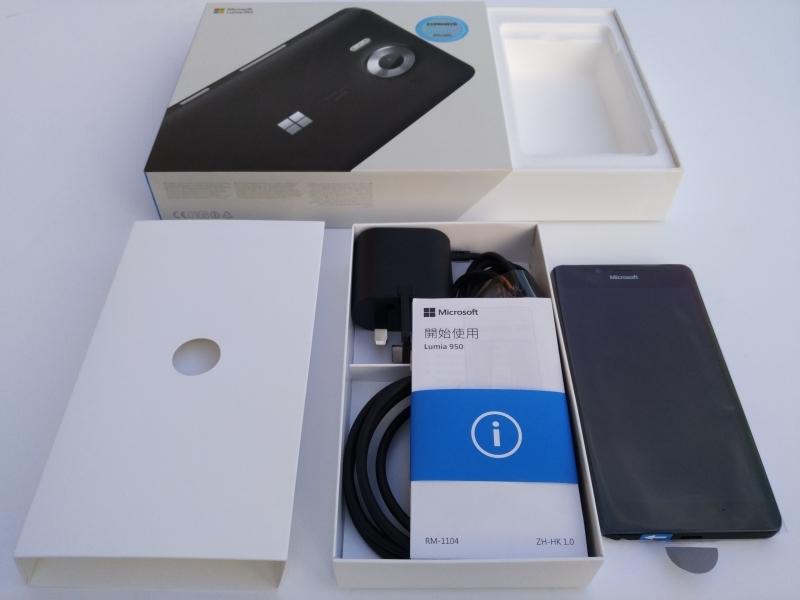 There is an inside box that slides out, and contains the Lumia 950 and accessories. Like other Microsoft products, the Lumia 950 uses colored tabs with arrows to point to where you should lift or what you should remove. 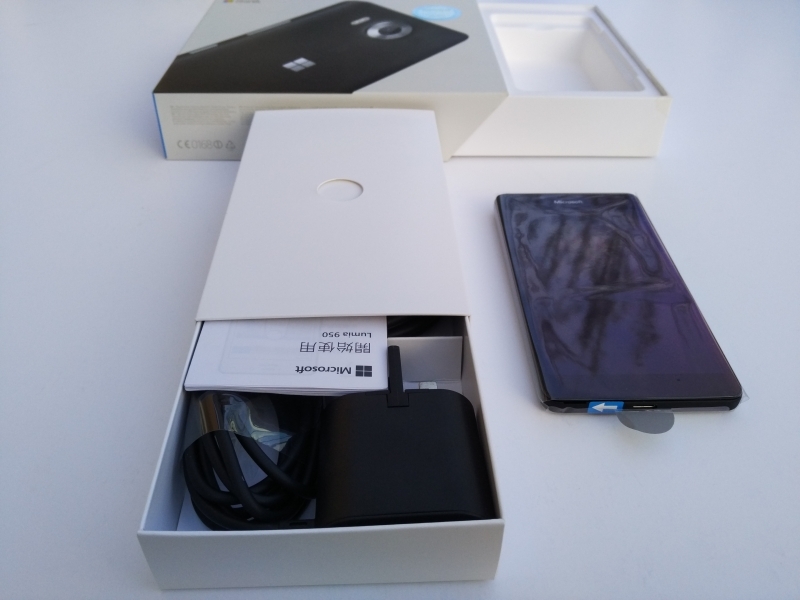 The Lumia 950 comes with audio earbud style headphones, 5 Volts 3 Amps AC adapter with USB Type-C cable, and USB Type-C to USB Type-A cable. 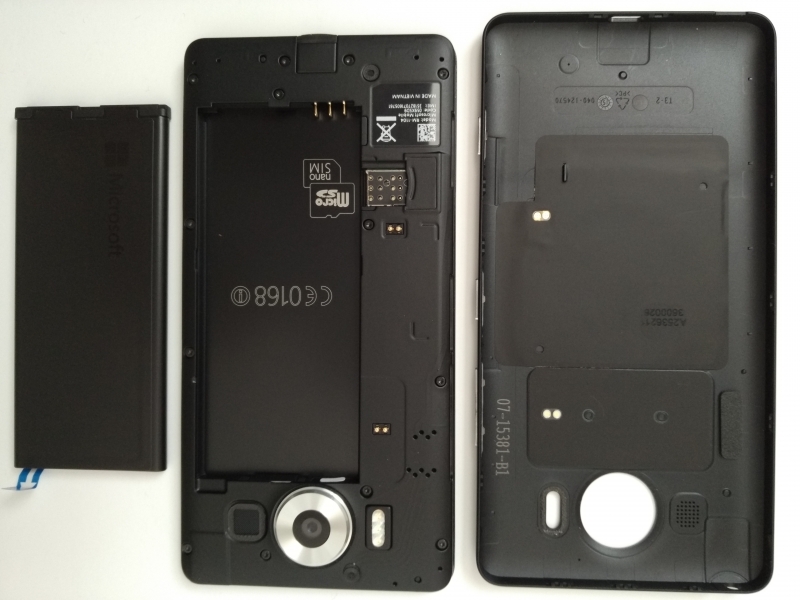 Bucking the trend, the Lumia 950 back actually comes off, allowing you to replace the battery. 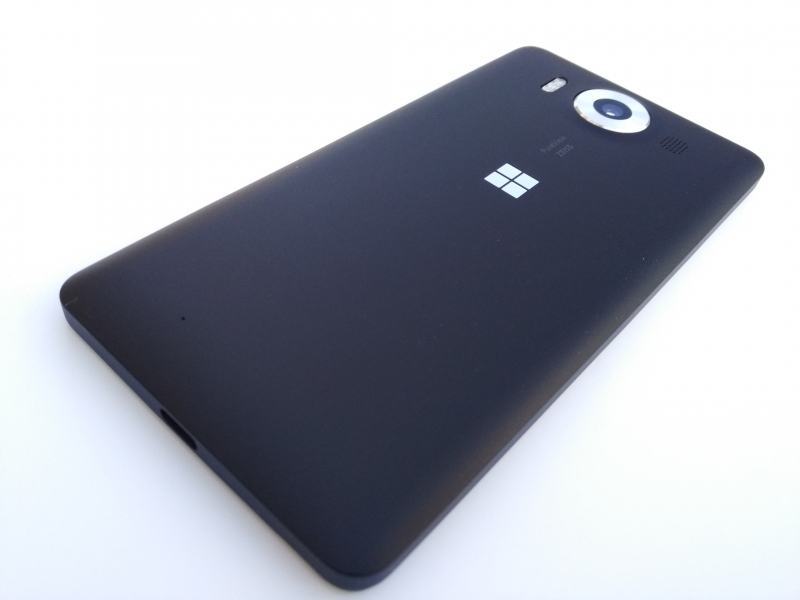 The Lumia 960 also support Qi Wireless Charging. 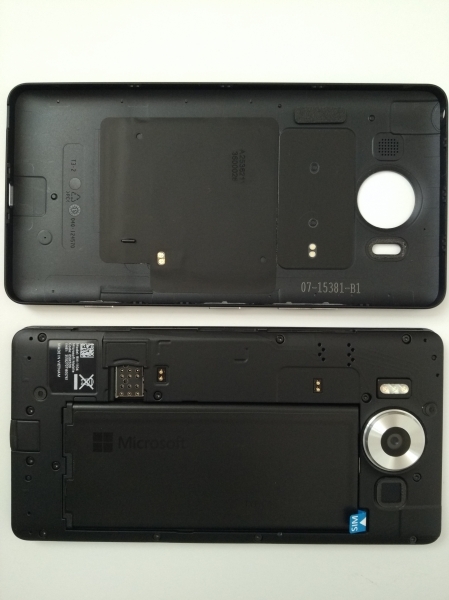 The Lumia 950 supports a removable SD card that can be inserted in the same area that you insert the SIM card. Try finding a removable SD card on the latest flagship phones from Apple, Google, or Samsung, and you'd be hard pressed. 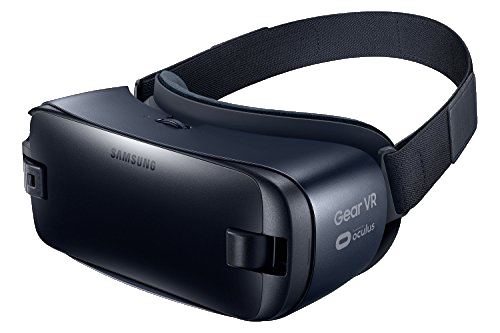 Apart from a removable battery and SD card, the key differentiator is the bringing the Windows PC experience to mobile. Microsoft's solution for this is Continuum which allows you to magically create a Windows PC experience by connecting your Lumia 950 to an external monitor. 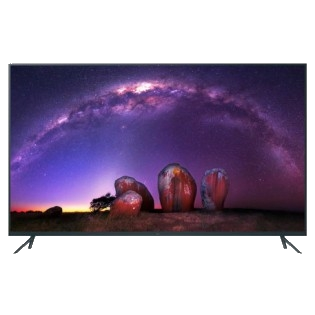 Even though Continuum works over wireless Miracast technology, the best user experience for Continuum is over USB Type-C. 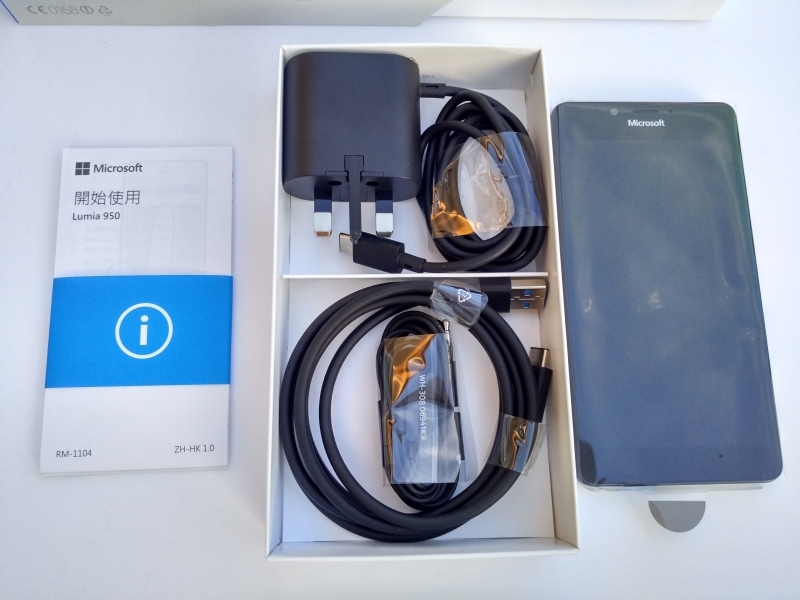 It's not surprising then that the Lumia 950 is the first phone released that supports USB 3.1 Gen 1 (5 Gb/s) speeds and DisplayPort 1.2 over USB Type-C. The Nexus 5X and Nexus 6P have USB Type-C but only supports USB 2.0 (480 Mb/s) speeds and no DisplayPort. 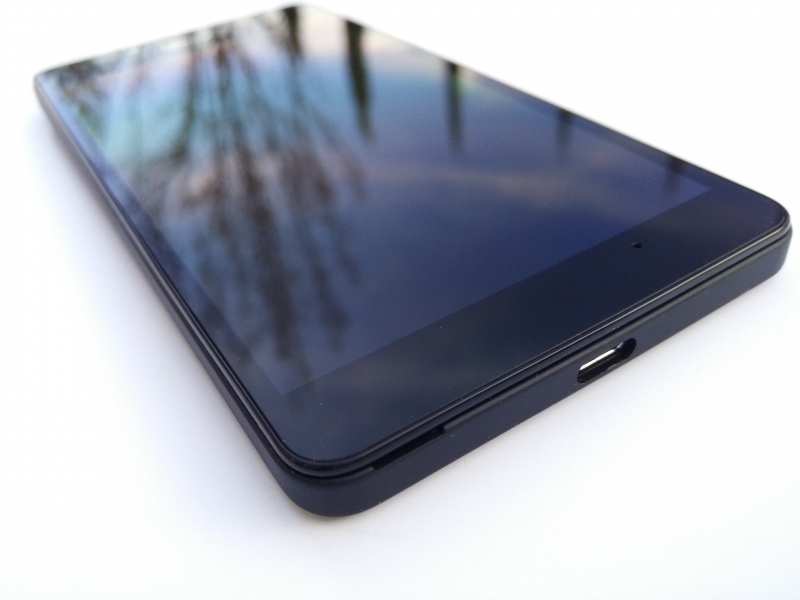 Previously, only tablet or notebook products like the Google Pixel C, Chromebook Pixel (2015), and MacBook (Early 2015) support USB 3.1 Gen 1 (5 Gb/s) and DisplayPort. You can best experience Contiuum over USB Type-C by using the Microsoft Display Dock from which you can attach external monitors, USB mice, and USB storage. The nice thing about Continuum is using your smartphone still as a smartphone while creating a separate Windows PC experience that can be used in parallel. It's almost like getting two devices in one. Apart from supporting Contiuum, USB Type-C also enables you to transfer files quickly to a SuperSpeed USB drive. 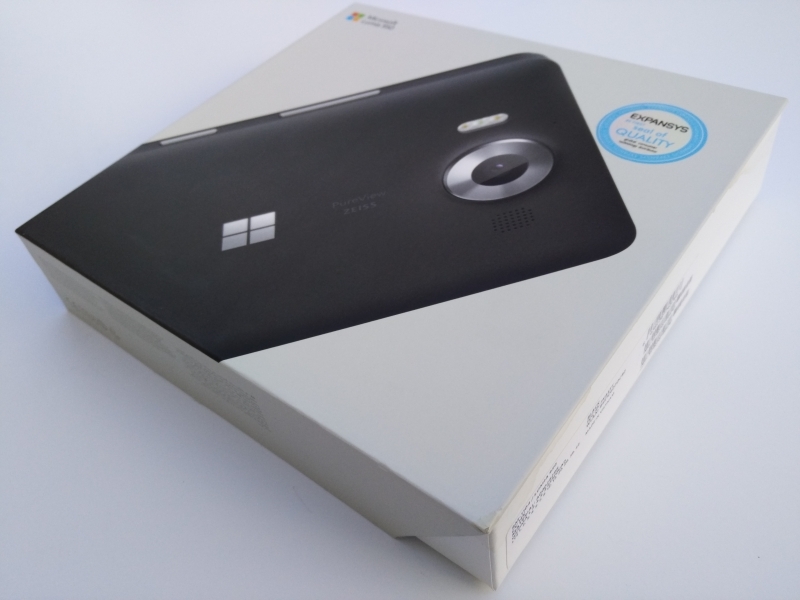 Click here to see how you can move files quickly from the Lumia 950 to a SanDisk SuperSpeed USB drive. You can also use USB Type-C to easily files to your Windows 10 PC using Windows 10 Phone Companion. Click here to see how easy it is to transfer videos and photos from the Lumia 950 to a Windows 10 PC like the Dell XPS 13. 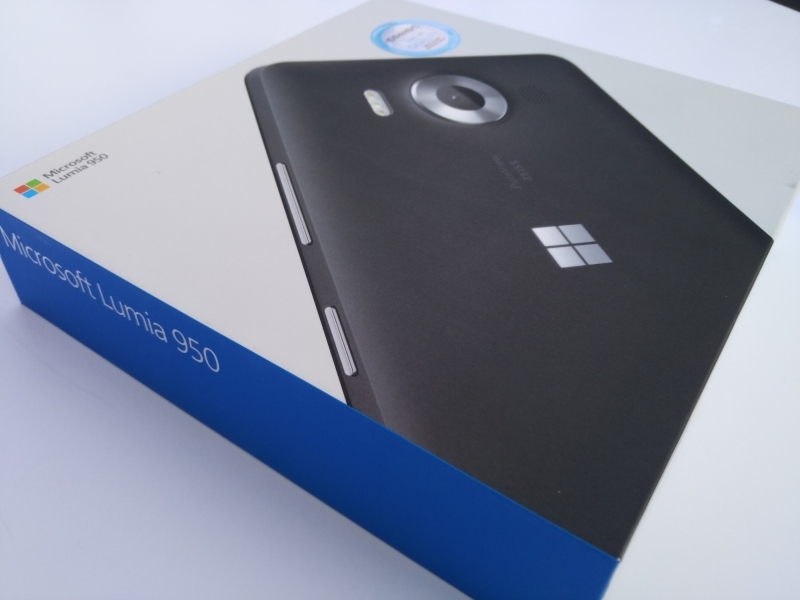 The Microsoft Lumia 950 is the most innovative phone out there that fully leverages the capabilities of USB Type-C. While Apps availability is still a major drawback for Microsoft Windows phones, for those heavy Windows users that want to explore new ways to use Windows on mobile, you should try out the Lumia. 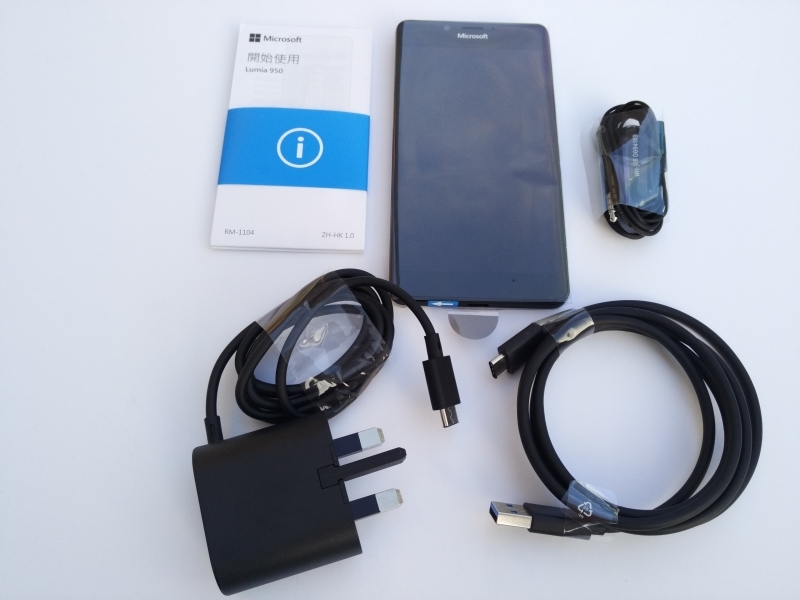 Using the USB Power Test App from Granite River Labs with the Granite River Labs USB Power Delivery Compliance C2 Tester, we generate the following test results to check the power profile of the Microsoft Lumia 950. 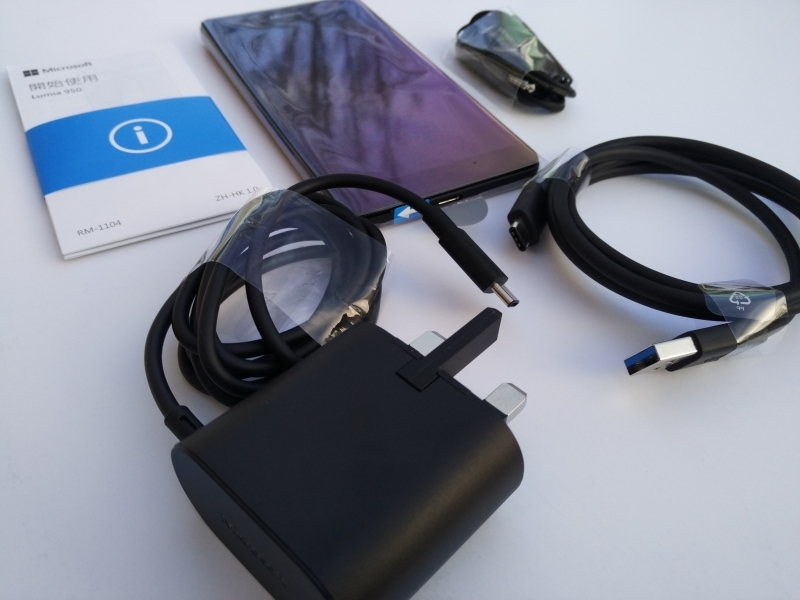 The USB Power Test App first negotiates a power contract emulating the Source to determine the Power Delivery Sink capabilities of the Microsoft Lumia 950. The USB Power Test App then reports out the voltage and current supported by the phone for each of the Source PDO's advertised to the phone. The USB Power Test App from Granite River Labs also produces a voltage, current trace plot which graphically shows the voltage and current requested by the Microsoft Lumia 950 for each advertised Source PDO throughout the power negotiation.